You know how YouTube and Instagram are swarming with videos of hydraulic presses crushing random objects? iPhones, batteries, soft toys, golf balls, everything. Therefore, it seems only natural that Mercedes-Benz decided to throw their S-Class in a hydraulic press, make it a bit shorter, and launch it with zero changes as the all new C-Class. I remember drooling over the S500 back in early 2014, when I first saw it in Bandra. It looked like the Queen of England’s private yacht had suddenly decided to grow wheels and take a leisure cruise around Pali Hill. The C-Class’s arrival last year didn’t make me feel any of that; rather, it annoyed me. What automotive designer with even half a brain makes their mass-market cash cow look exactly like their top-of-the-line limo? That same annoying LED line. Left to right: iPhone 6, iPhone 6S, iPhone 7. Believe it or not, those are actually different cars. 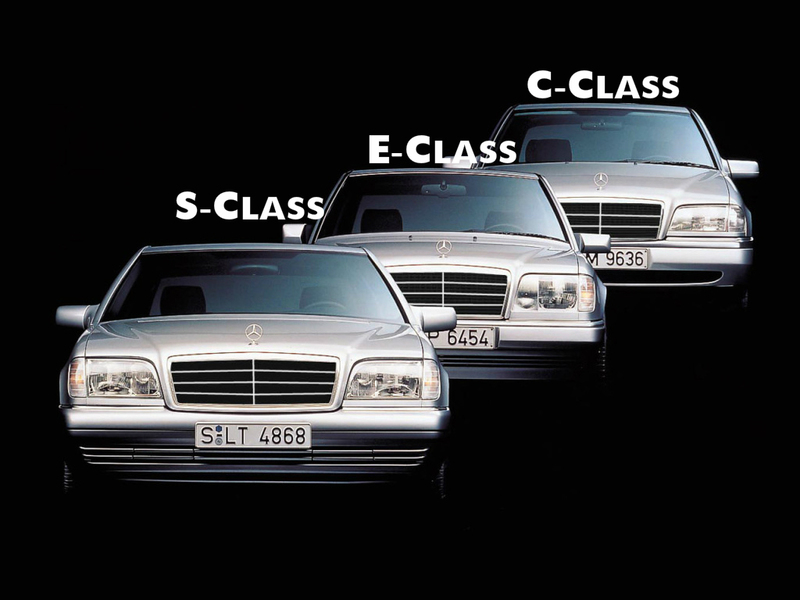 The new E-Class has only added to the confusion. Even in the mid 90s, when the C, E and S looked similar, you could still tell them apart after a few seconds. Now it seems like Mercedes is more interested in pumping sales figures than in designing unique vehicles. People might walk into showrooms to stare at the majestic, out-of-reach S, and walk away happily with the C. I wonder where this leaves people who’ve spent crores on the flagship. Tragic. Most Mercedes-Benz customers go for the marque as a status symbol and not out of love of automobiles; if they can’t tell the 50-lakh model apart from the 2-crore model at first glance, they’re going to look at other brands. I’ll be honest, these aren’t ugly-looking cars in the slightest. But a Benz is something that needs its own character, not surf the same wave stirred up by its elder brother three years ago. The internet is full of angry fans who are comparing the new Benz trio to Russian dolls (identical wooden dolls one inside another. Ask your grandparents, they’ll know). This “cohesive design” (as Daimler calls it) may boost sales for now, but in the long run, it could do serious damage to the brand. Mercedes is expanding this philosophy like a plague; the GLA, GLE, GLS, and even the Metris passenger van are beginning to share the same look. Only the great timeless G-Wagon and the sleek young CLA have survived… so far. I pray for those two. Come on, Daimler. Wind your clocks back to 2008. Learn something. Hahahah enjoyed the pop culture references! Very well written. Got a Jeremy Clarkson touch to it. Keep up the good work. Absolutely true..even audi is doing the same thing !